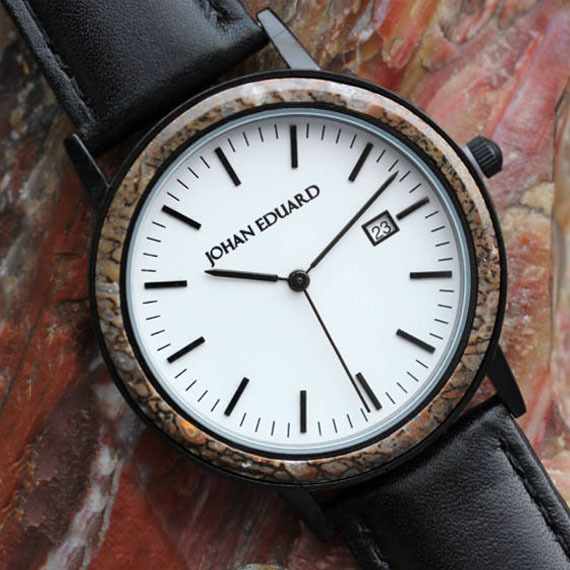 Oakdale, MN, April 3, 2017	(Newswire.com) - Jewelry by Johan has just released its new Johan Eduard line of custom watches featuring Gibeon meteorite, fossilized dinosaur bone, naturally shed deer antler and exotic woods. There are 8 core designs available that can be modified and customized. This collection was created to offer brides and grooms gift-able accessories that coordinate with wedding jewelry crafted using the same unique, natural elements. 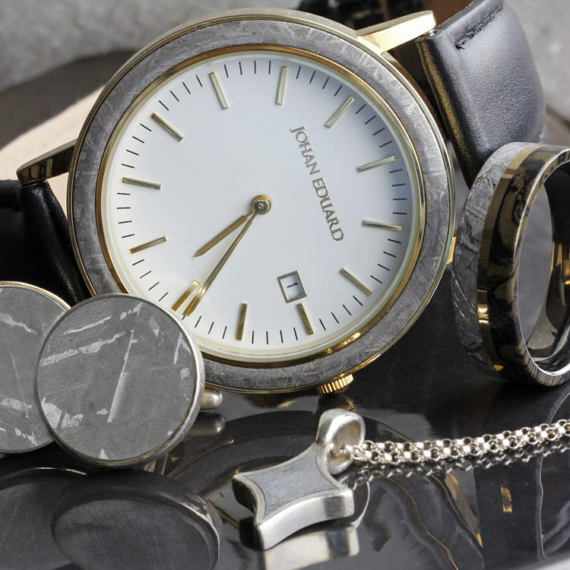 “Johan Eduard watches can be customized with the same inlay material as a couples' wedding rings making them a great option for a bridal party or anniversary gift for those who are seeking something special and symbolic,” says designer Johan Rust. "We can also craft a watch using sentimental, customer-supplied materials." 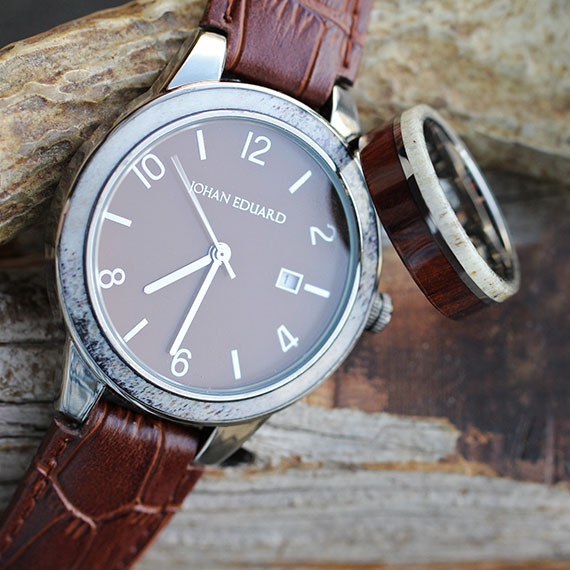 All Johan Eduard Watches are hand-crafted in Minnesota and are made-to-order to the customer’s specifications. The company provides detailed descriptions that include pricing on the website. Prices range from $149-$499 USD dependent on material. From the website, customers can select a style, contact the company for unique specifications, and make a purchase. To learn more, visit JewelrybyJohan.com.